It has long been considered a legendary creature, so mysterious and elusive as to create doubts on its actual existence. But not only does the giant squid exists, it’s now possible to trace its habitat with a certain precision. A team of researchers at CNR-ISTI in Pisa, Italy, has just completed the first digital map that estimates the distribution of this enormous mollusc on a global scale in the seas of our planet. "The first certified record of the giant squid dates back to 1639, rediscovered by the Norwegian naturalist Japetus Steenstrup in 1849. The size of the squid actually reaches those surrounding the legend with a length up to 18m. The first live encounter was just in 2012 off Chichijima, Japan. They may even be present in the North Sea”, explains Gianpaolo Coro, a researcher from CNR-ISTI, in a note. The real, presumed, or imaginary sightings of this mollusc have inspired books and films. The first report of its existence dates back at least to the ‘History of Animals’ by Aristotle; the latest, that of fishermen in Japan in 2015. 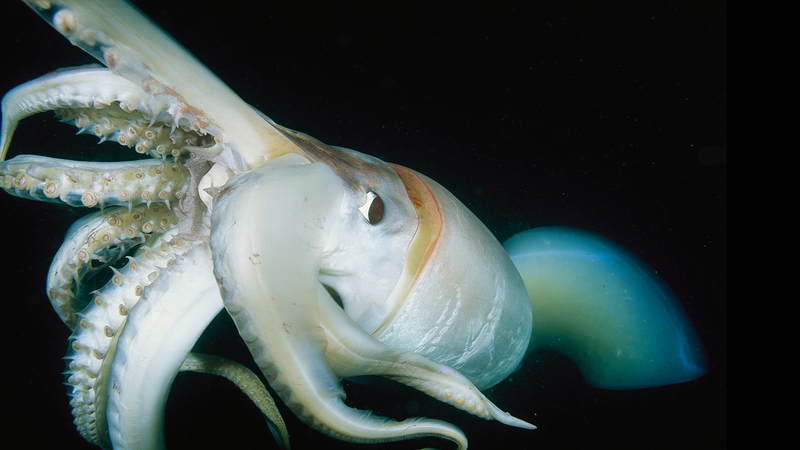 Today, thanks to the new CNR-ISTI data archiving and processing techniques, the first map of the squid has been produced and published in the Ecological Modelling Journal (Elsevier) and an interactive timeline tells its story. "To produce the map of the giant squid, we correlated data already acquired on its habitat with real and presumed observations. The distribution in relation to the environment was also evaluated: vast sea area, great depths (between 450 and 1000 m) and very low temperatures (about 1°C)” – continues the researcher. The timeline also points to the first interactive digital distribution map of Architeuthis dux computed using the D4Science e-Infrastructure and built using the Copernicus data provided by the European Space Agency. A Video explores this result up to the edge of the Mediterranean Sea. “The map provides a potential estimate at half-degree resolution of the presence and absence of this squid in the global oceans” concludes Coro. Besides the giant squid, the CNR researchers have created digital maps for 11,359 marine species from cetaceans to corals and fishes, that estimate their distributions today and in 2050, in order to monitor habitat shifts due to climate change.